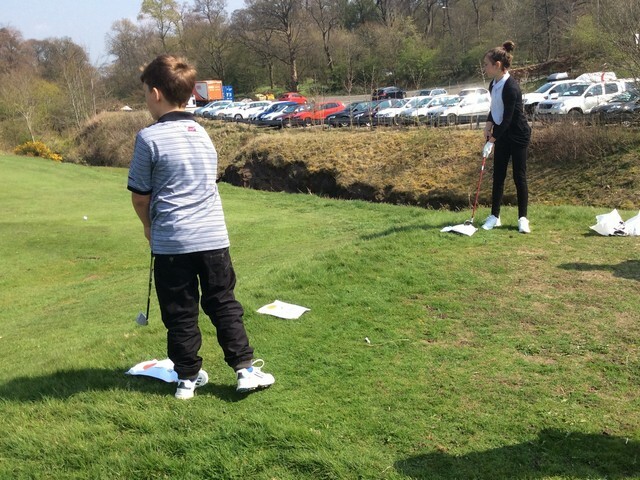 The Junior Section Open day held last Friday April 24th was a great success, with superb weather for the time of year, with the sun shining almost as brightly as the smiles on the kids’ faces! After Gordon Law’s visits to local primary schools where he spoke at morning assemblies, 30 boys and girls signed up to for a busy afternoon of golf related activities as an introduction to the game, with the emphasis on having fun. 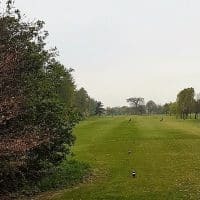 Ages ranged from 9 through to 12, with many of the youngsters never having held a golf club before, so after being split into small groups helped by our Junior Support Group and members of the Junior Club Team, they were shown basics such as grip, stance and how different lofts worked. 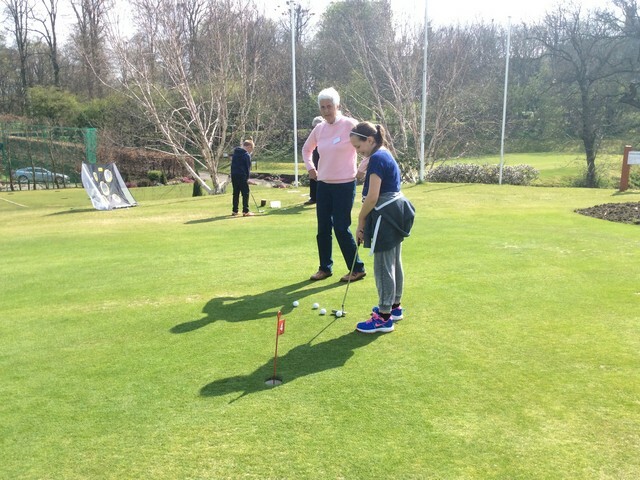 Lots of games were set up, with putting, chipping into buckets and over hurdles all being used as a light-hearted way to get everyone involved. Some of our more experienced members might learn a thing or two from going back to these basics! 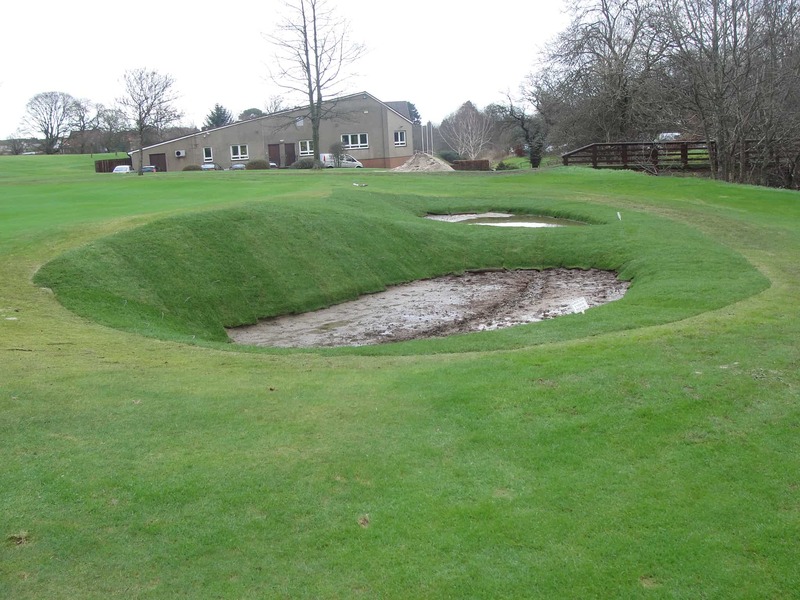 To round things off, we finished up on the course playing the 17th, 18th and finally our signature hole, the 16th, accompanied by adults and members of the Junior Team. It was great to see the younger ones looking at the Junior Team players thinking “maybe that could be me if I stick in”! Hopefully this is the start of a lifetime of golf for some of these kids – everyone has to start somewhere. As always, these events don’t organise themselves, so grateful thanks go to everyone who made the day a great success. Junior Support Team Members – Dave and Margaret Meldrum, Sheila Cowie, Alison Wilson, Janet Patterson, John Halliday, John McEwan, Tommy Turnbull and John Welsh. The Club’s Junior Team Members. Thanks also to Scott McKinnon Snr. for making the wooden training apparatus which was a great help on the day. 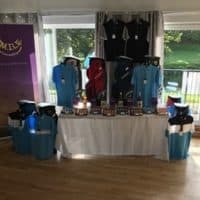 Last, but not least, thanks to Gordon Law who attended the local schools to tell the children what we have to offer as their local, child friendly Golf Club. 6 new Junior Members joined on the day with more in the pipeline, so there was a tangible benefit at the end of the day as we added to our already thriving Junior Section.